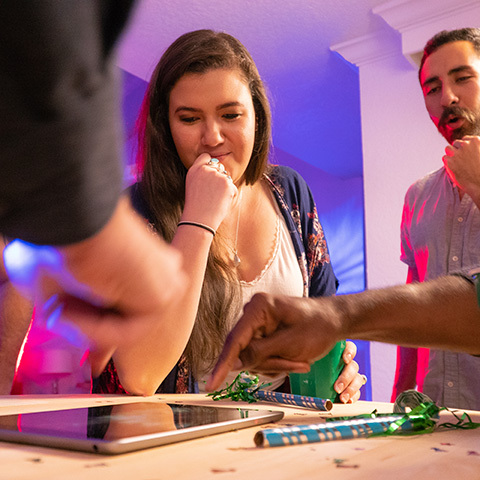 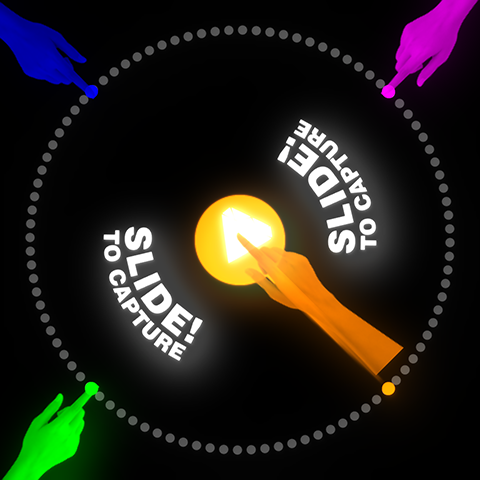 Hold, dodge, capture, and pass in a fast-action battle of fingers and reflexes with 2–8 players on a single touchscreen device. 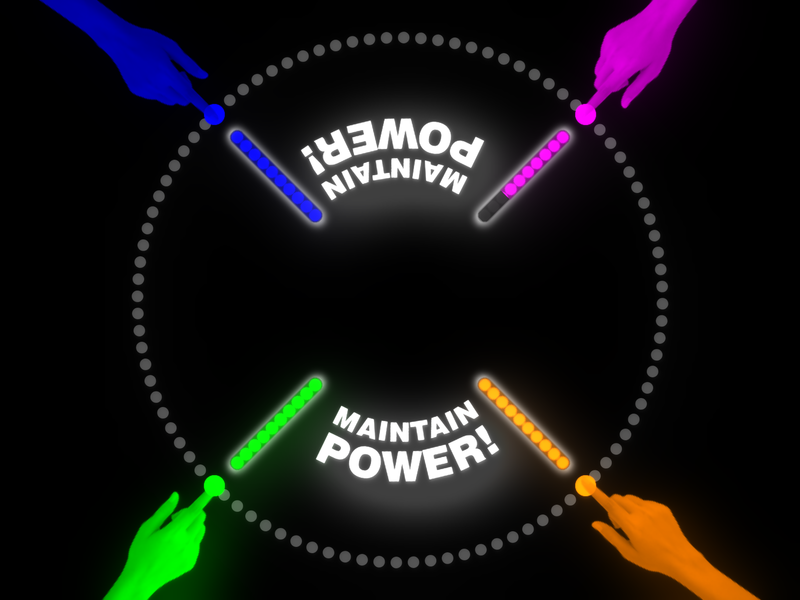 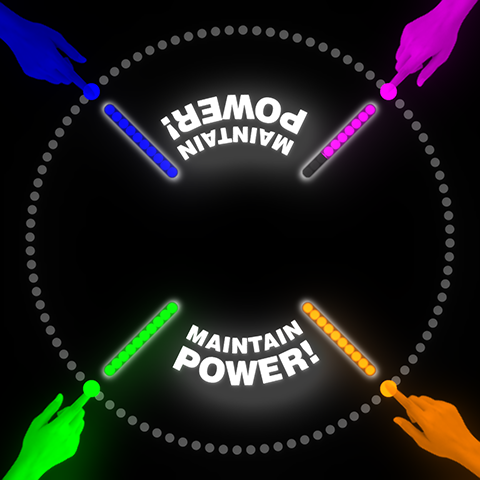 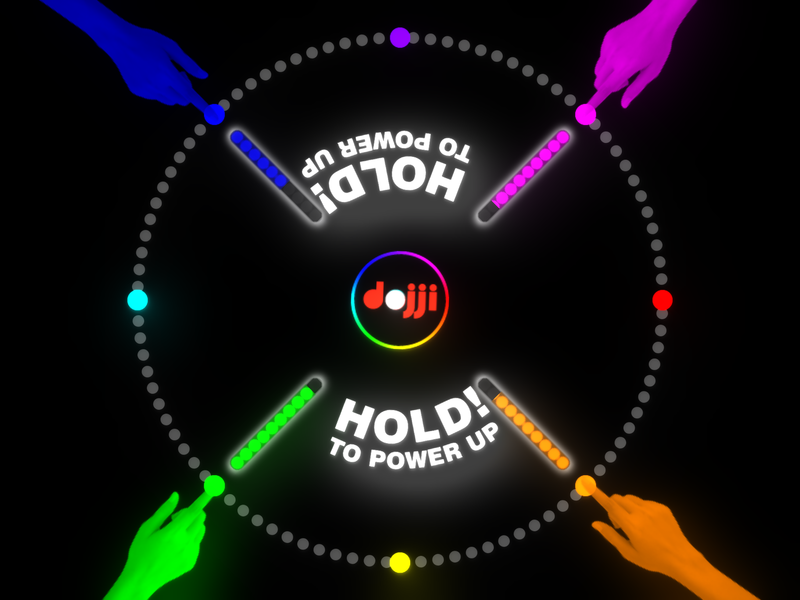 Players hold their fingers on the screen to maintain power while dodging the tricky Dojji Ball and competing for bonus items in the center of the play area. 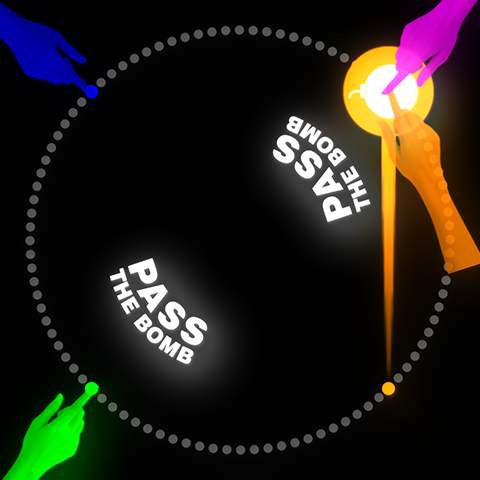 Grab the diamond for a power boost, pass the bomb before it explodes, and fire the rocket at your competition. 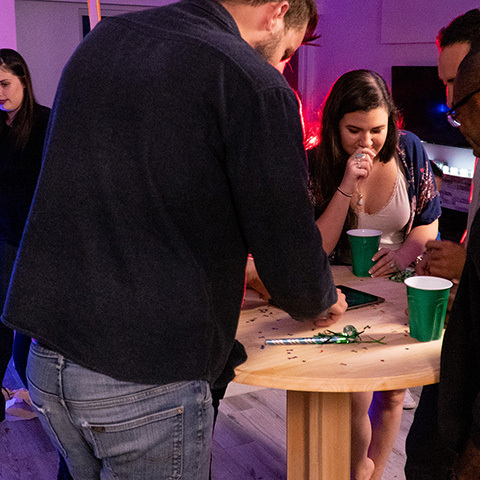 Last one standing wins! 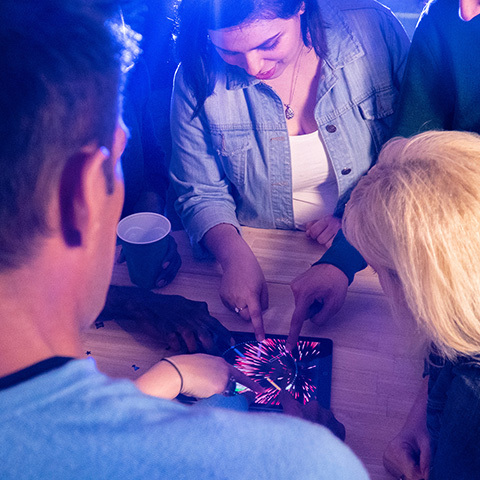 Learn to play in seconds and compete at the full speed of your fingers with no controllers to slow you down. 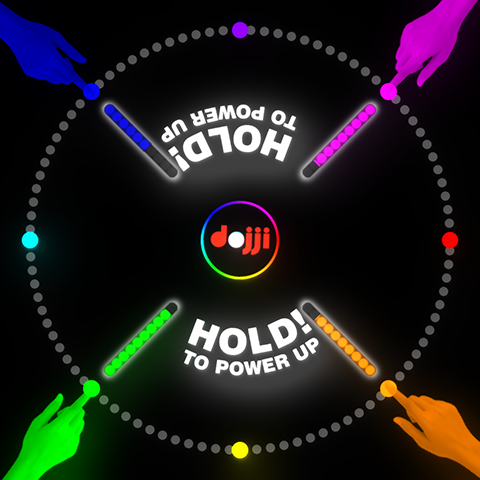 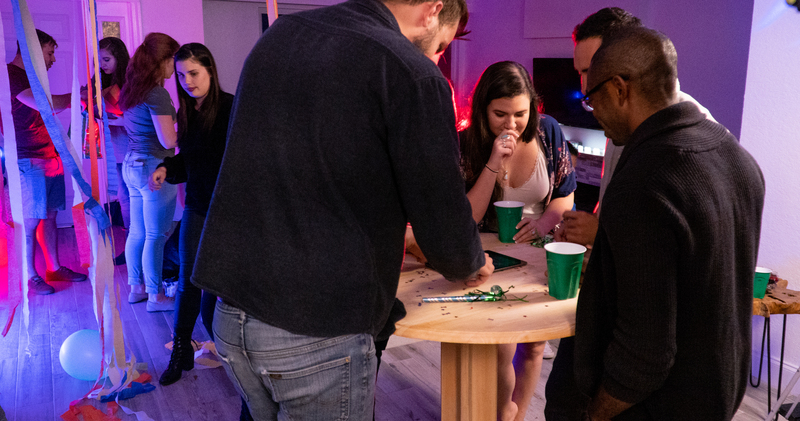 Dojji Ball is perfect as a party game or a quick bit of fun with friends anytime. 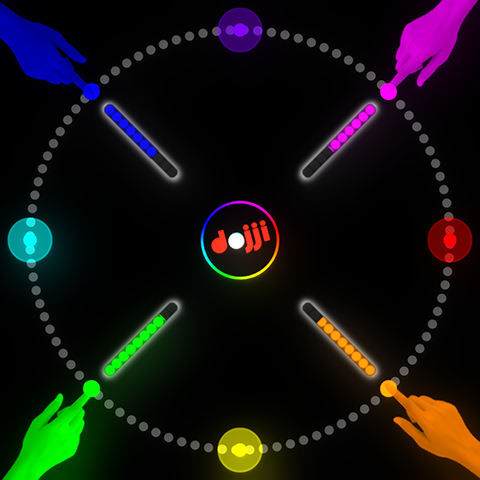 Dojji Ball began its life as a concept for a game where a mocking robot slaps you in the face if you're too slow. 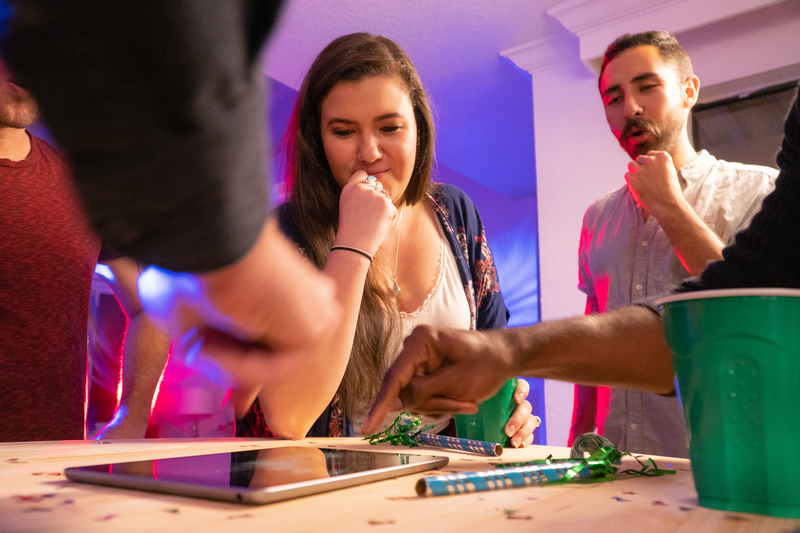 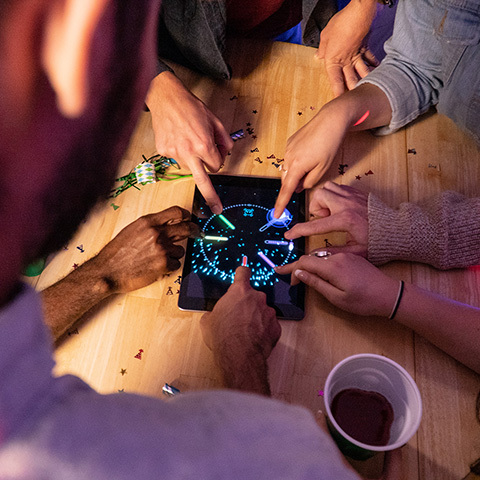 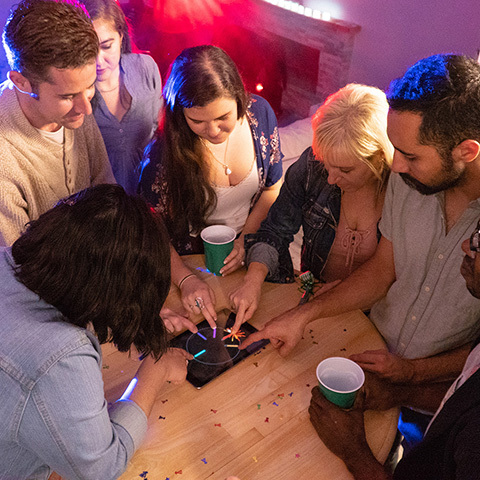 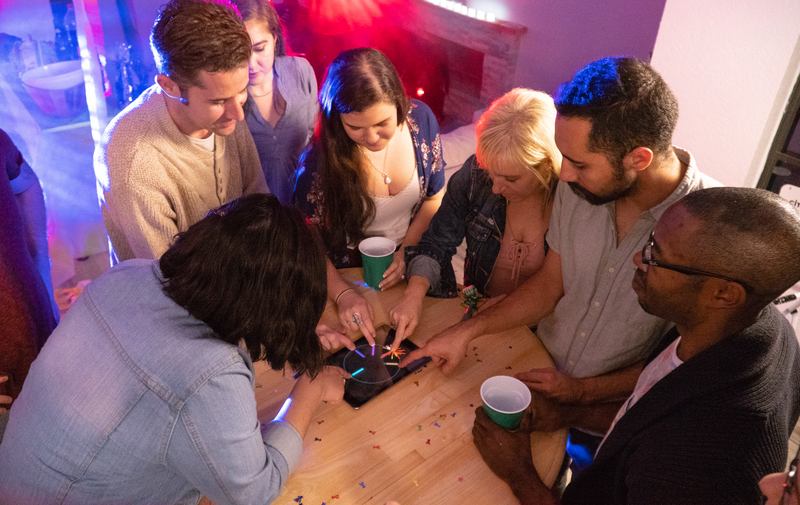 The concept was inspired by the games "Knife To Meet You", where a robot with a real-life kitchen knife takes swipes at your finger, and "Line Wobbler", a one-dimensional dungeon crawler that uses a colored LED strip as a display. 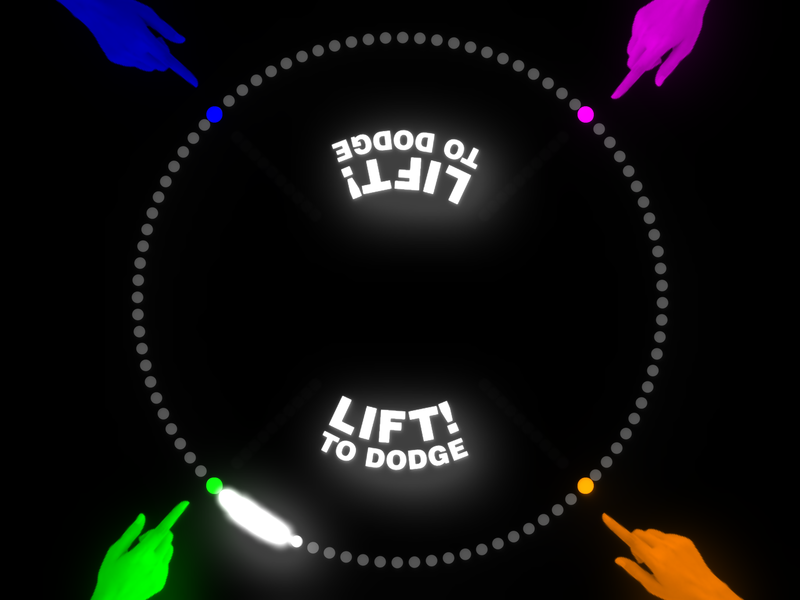 My grand plan was to use a 100-LED strip arranged in a circle, 8 buttons for players to hold, and a robotic hand that physically slaps you if you're too slow to dodge the AI-controlled ball of light that circles the strip. 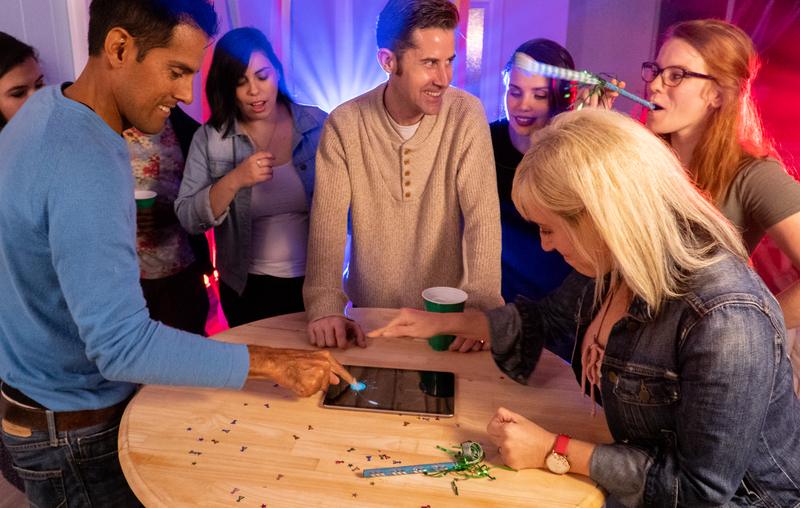 I observed the game bringing people together shoulder-to-shoulder, laughing as they were forced to crowd around to get their fingers all on the same display. 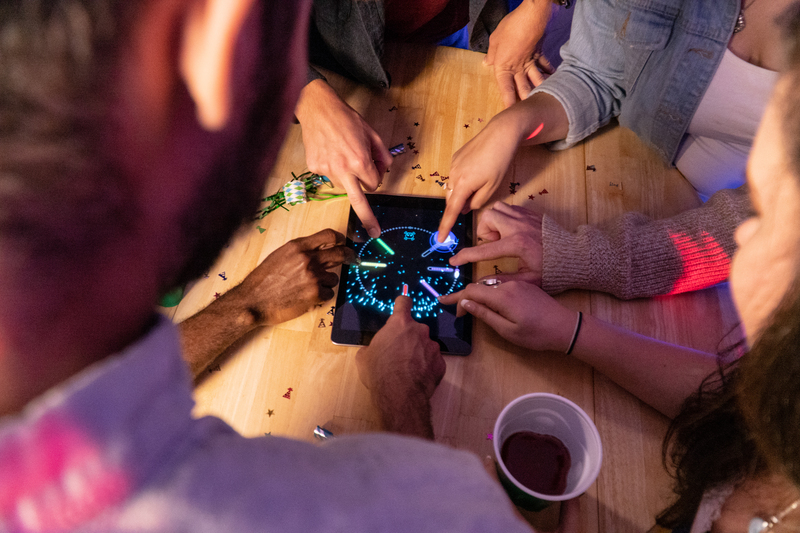 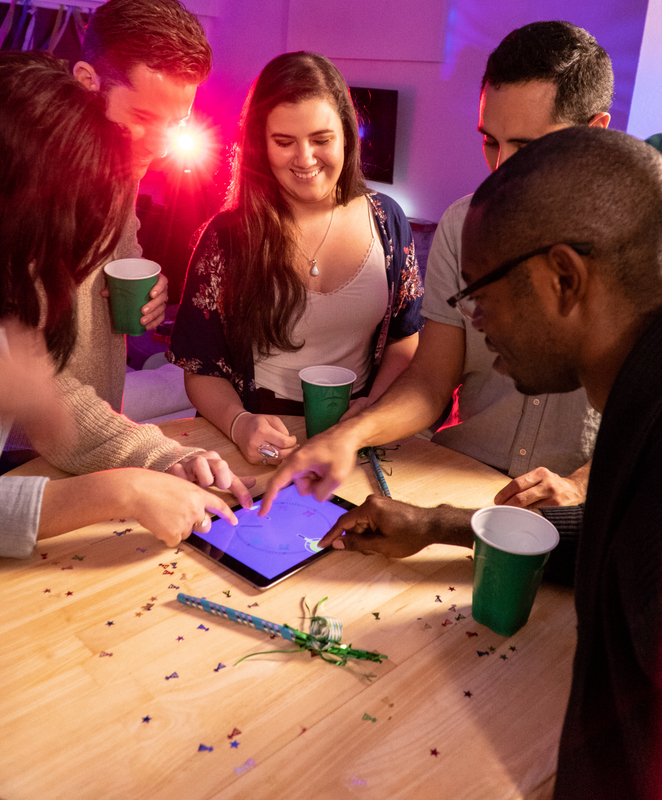 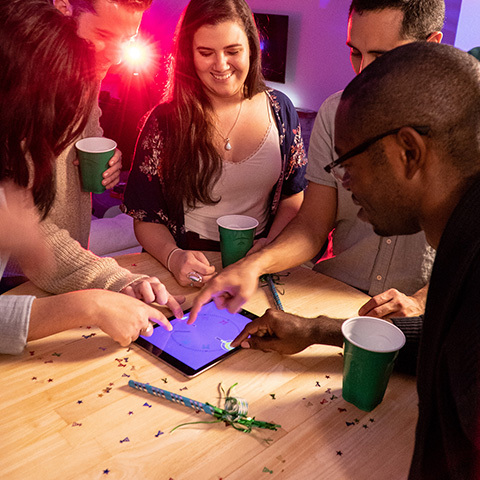 This was a video game where the touchscreen was merely facilitating real-life physical interactions between real people together in the same physical space. 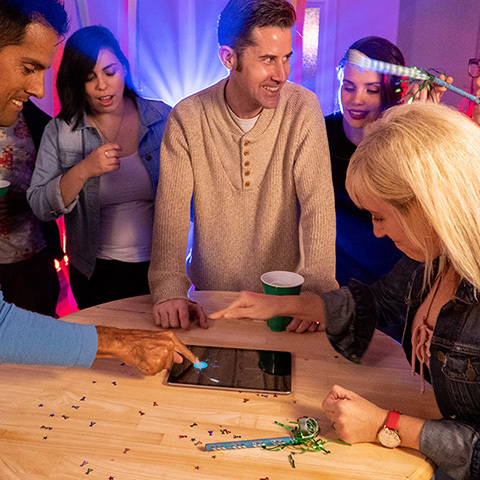 It was the exact opposite of virtual reality—a physical reality game! 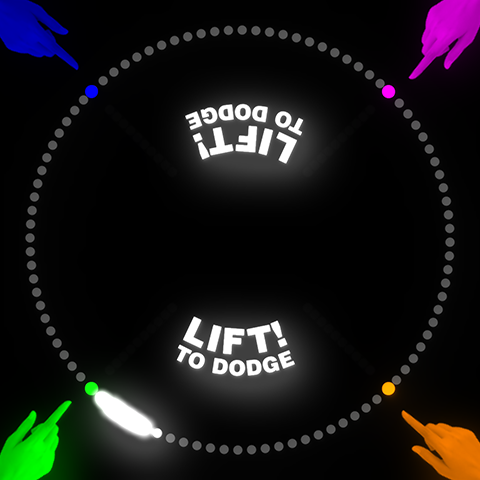 Excited by these discoveries, I abandoned the slapping robot idea (I'll get back to it eventually!) 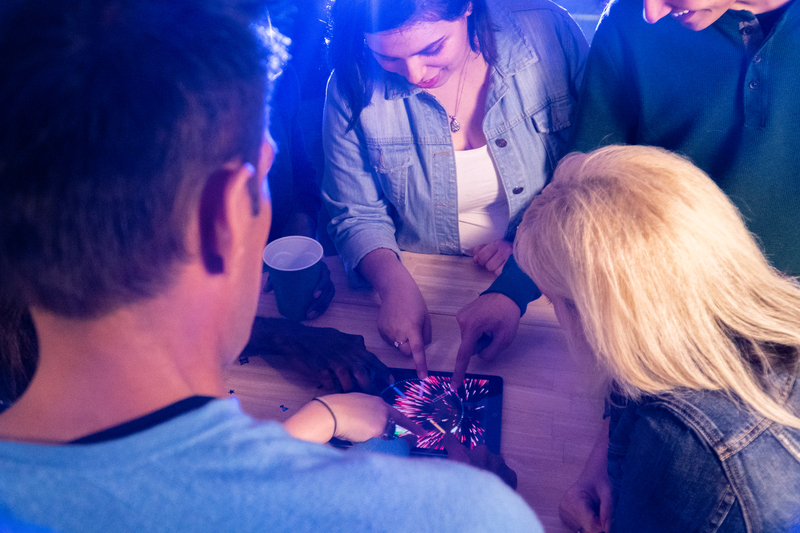 and fully embraced the touchscreen. 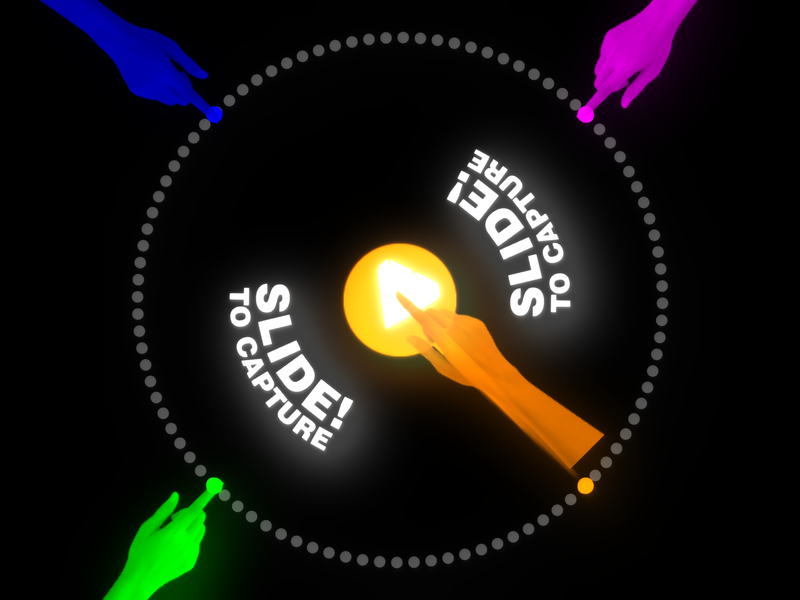 I created a new "capture" mechanic where players slide their fingers to battle over items that appear in the center of the circle, and a "pass" mechanic where players pass a ticking time bomb between each other until it explodes ("hot potato" style), in addition to the original "dodge" mechanic. 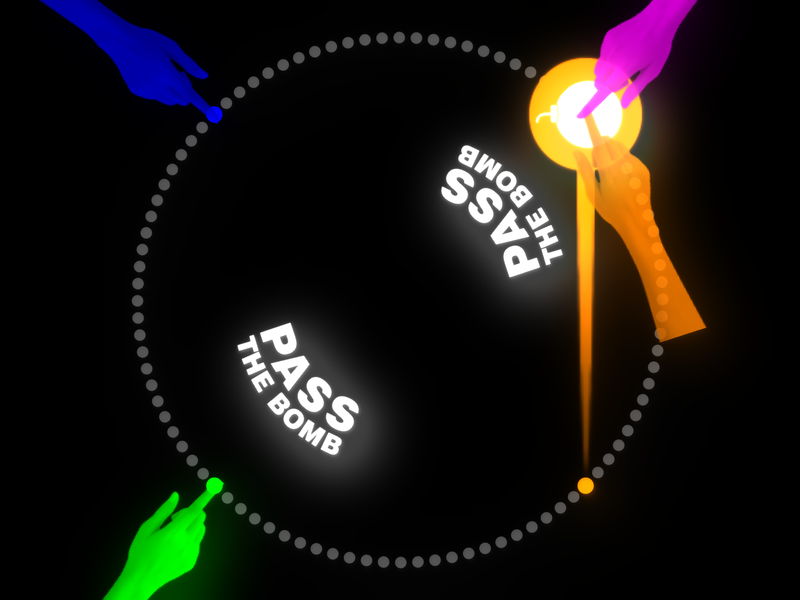 I even added a "fire" mechanic for some play-testers who really wanted to shoot each other, and I've got more features on the way that I'll reveal in a future update to the game. 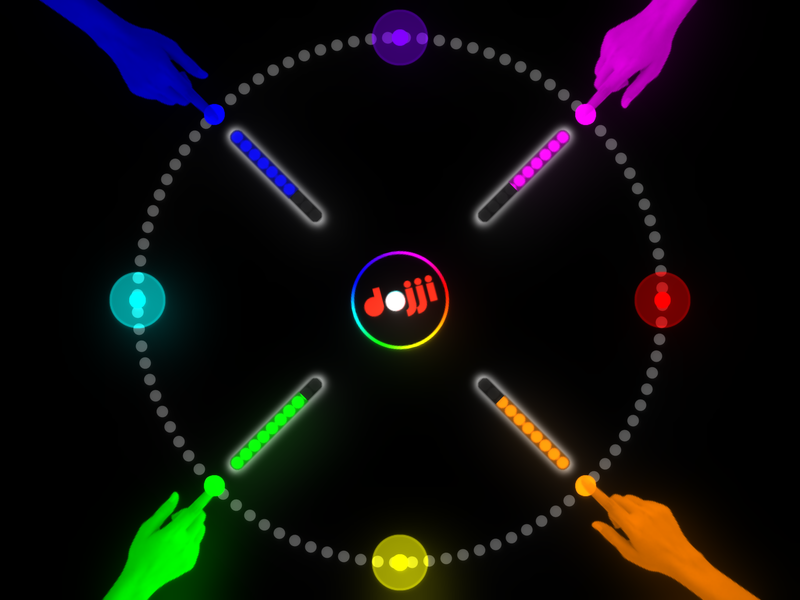 I think I've stumbled onto something really unique and exciting with Dojji Ball, and I hope you all have a blast adding it to your party game repertoire! 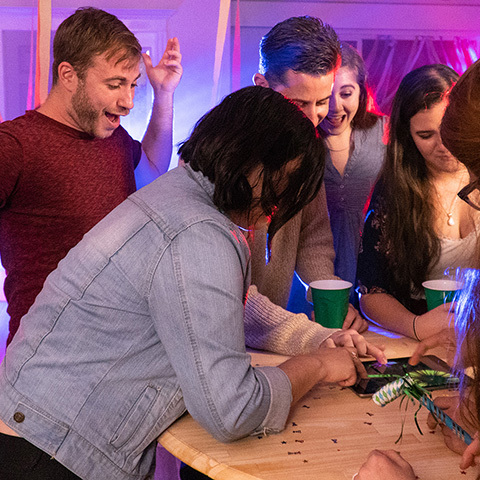 More information about David Taylor and Hot Chai Productions available here.